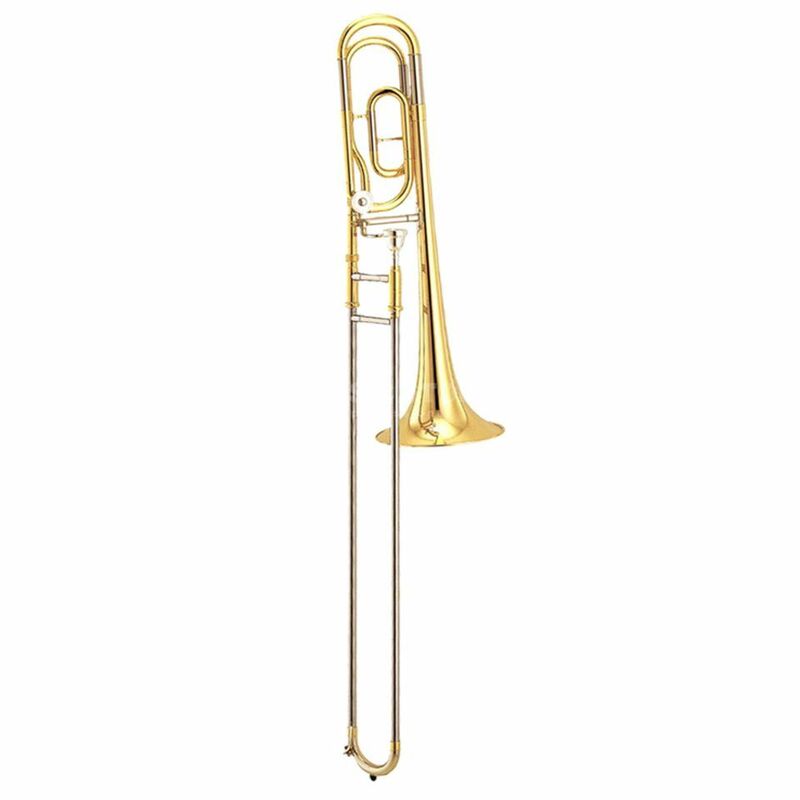 The Yamaha YSL-356 GE is a Bb/F trombone, with a gold brass bell, nickel silver slides, a gold lacquer finish, and includes a mouthpiece and case. A quart valve trombone of the standard series. The student models of the Yamaha F-attachment trombones have many features of professional models, but at an amazing price. The fast response, accurate intonation and the full warm sound of these trumpets are in the foreground.